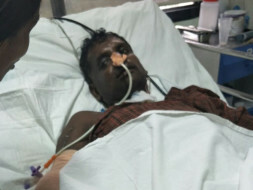 40-year-old Nataraj met with a severe accident which has led to kidney failure. He has been suffering in pain due to this with persistent loss of consciousness and ear and nasal bleeding. He needs prolonged medical management and the total cost of the treatment is around 12 lakh Rs. Unfortunately, Nataraj does not have the funds to pay for this treatment and needs our help for his treatment. Your contribution can give Nataraj the treatment he deserves. Thank you for all the support that you have shown towards Nataraj. He is doing better now compared to earlier. He is under treatment for the past six months and has recovered slowly. He has regained approximately 50% memory and is able to recognize his kids, wife and a few others. 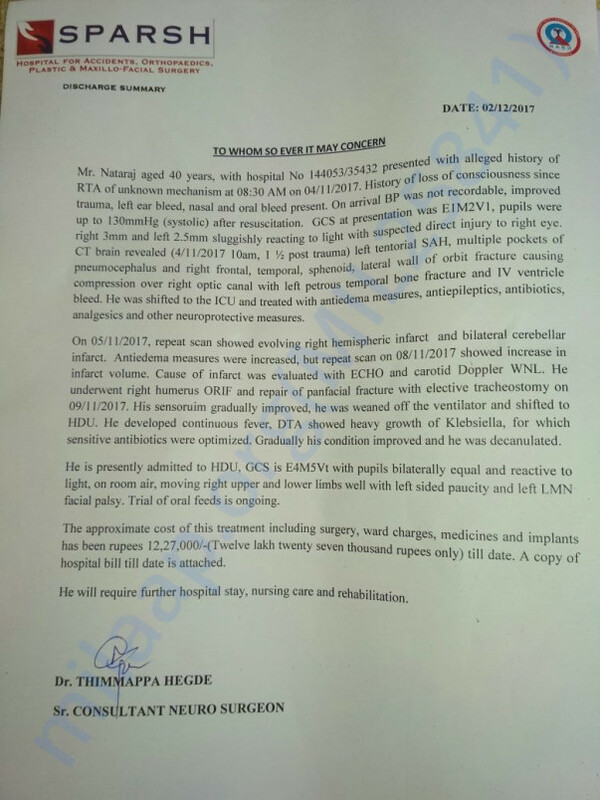 The doctors have advised him to undergo physiotherapy and Neurotherapy to stimulate his muscles and cells to help him recover better. He is able to move his legs a bit but is still unable to move his arms. The doctors suggest he will still take upto 6 more months before they can suggest the future course of action. Thank you all once again for all the support. Do share this campaign further with your friends and family to help a father to return back to his kids. Please do pray for his health and speedy recovery. Will keep you posted.